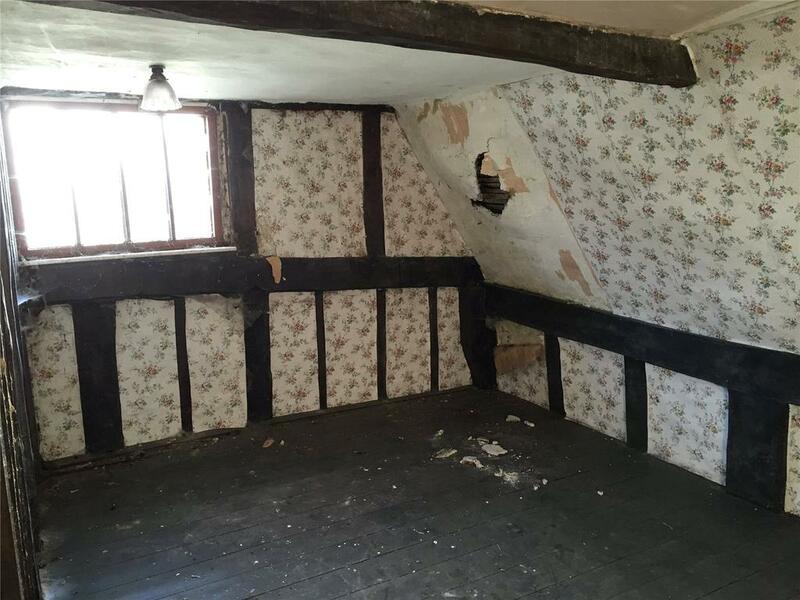 Two puzzling properties for you today. 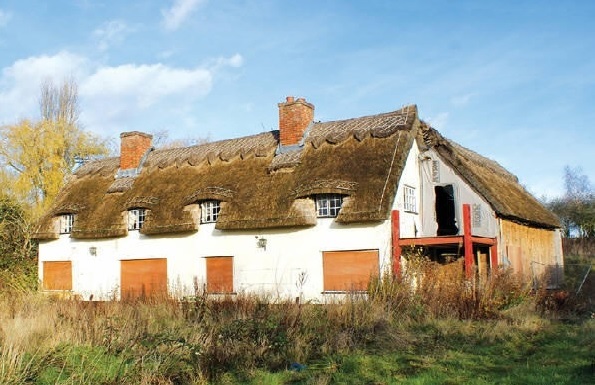 First this thatched and detached cottage in Essex. 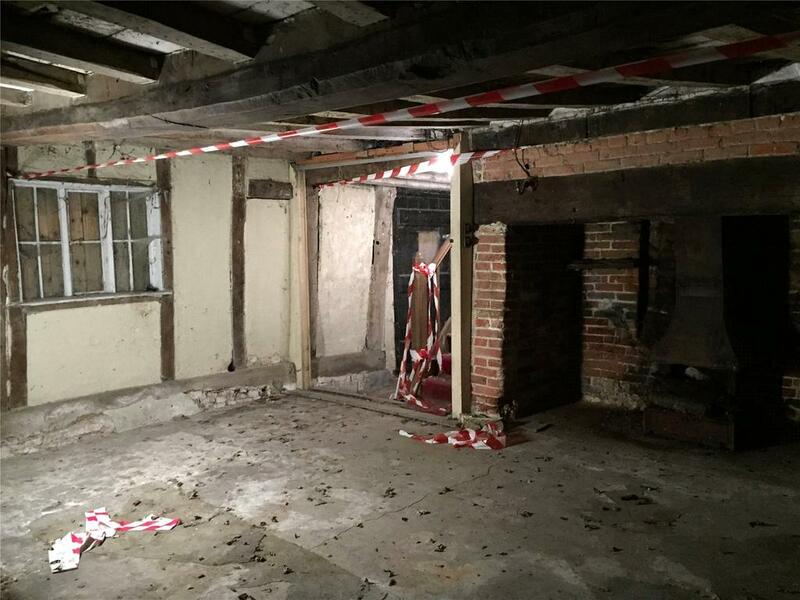 The five-bed property was put up for auction this week by receivers but failed to sell. It had a guide price of £550k and is now on the market at £600k via Allsop. A great price for a large country home in Harlow, with its fast train link to London and easy motorway access. Until you see the rear view. 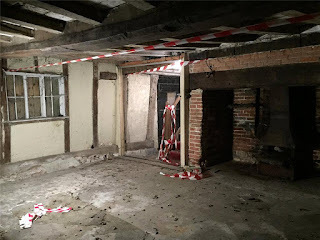 What you're looking at is the part-finished two-storey rear extension (bumping the property up to five bedrooms), and a great big hole in the ground that was the beginning of a swimming pool. 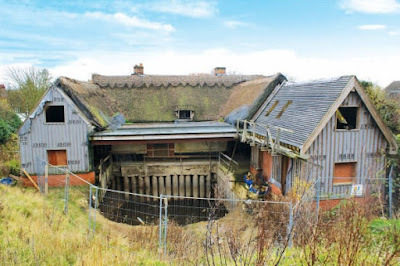 Presumably you could apply for a revision to the planning permission and fill in the hole. My thinking is courtyard: it looks a nice spot to sit with a gin and tonic and a couple of hounds. 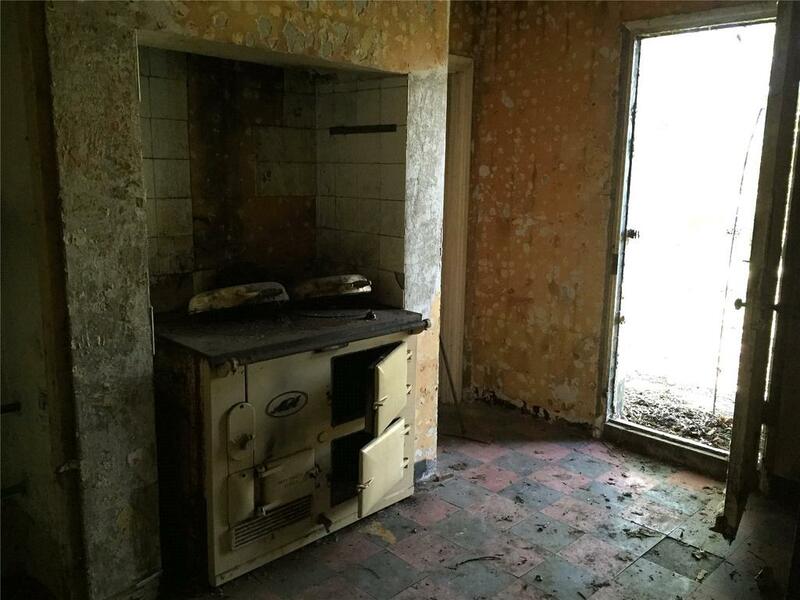 There are no internal photos, the agent's details describe it as a "shell"', but reader Jaki, who told me about the property, found this archived posting which seems to be the same house in 2007, when it sold at £665k. 'Mutton Row' house is on Hobbs Cross Road, in Harlow. Details here and here. 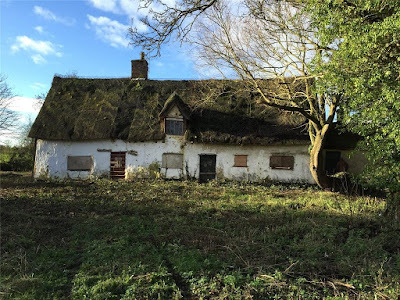 If thatch is your thing, the cottage below is in need of a fair bit of work but could deliver a very sweet Suffolk country home. The "puzzling" bit is the price. 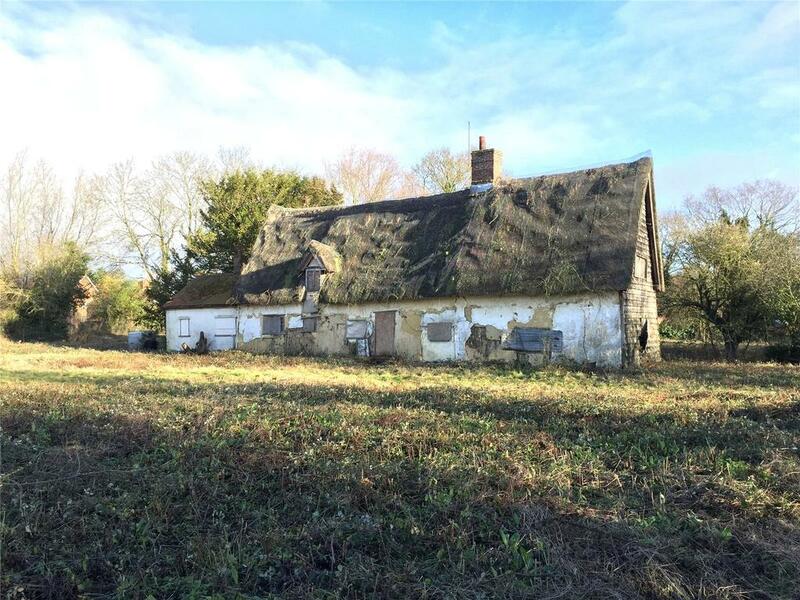 Advertised on Rightmove at £250k as the cottage plus planning permission to extend, and 0.8 acre of garden. But on the agent's site its advertised at £600k for the cottage plus 1.6 acres and planning permission to build 5 houses on the land. Not a bad return on its 2013 sold price of £212,500. 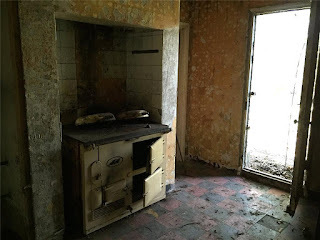 I couldn't find anything that indicated whether the house and building land might be sold separately, but clearly that would be an issue if you were thinking of investing the £400k or more needed to buy the cottage and renovate it. With that reservation, the house itself is lovely. Grade II-listed with parts of it dating from the 16th century, and lots of period details. 'White Cottage' is on Shop Street, in the village of Worlingworth. postcode IP13 7HX. 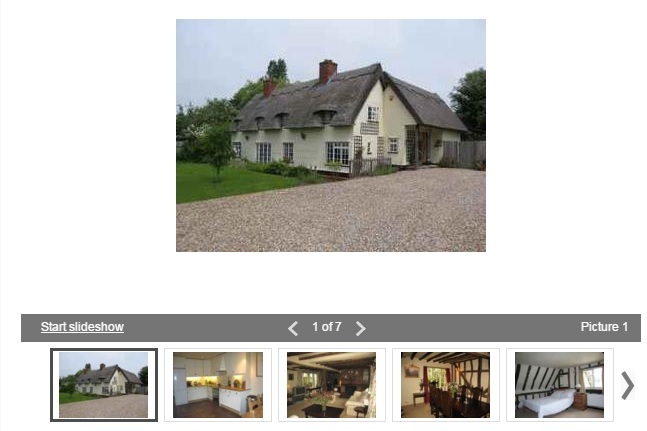 More on the cottage on OnTheMarket here and on the cottage plus land on Savills here.